For those of you that enjoy exercise and jogging we have something that will interest you! As you may well know, Core Physiotherapy and Pilates Studio are made up of South Australian family owned practices. To continue to serve the local community on the 20th August we are taking part in The Athlete’s Foot Adelaide Marathon. We will have our Core Physiotherapy and Pilates Studio marquee set up at the end of the Marathon, with Physios waiting to give participants a rub down or massage at the end of the race. The event is now in its 38th year & offers four different courses for you to choose from being a 5km, 10km, 21.2km or 42.2km track. 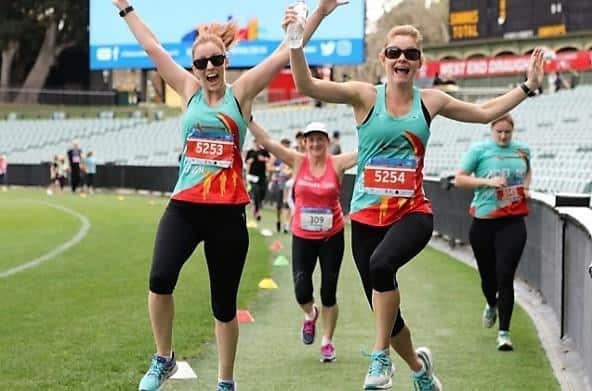 The scenic course sends runners past iconic Adelaide landmarks such as the Adelaide Zoo, through the Adelaide Botanic Gardens, along the River Torrens and the leafy streets of North Adelaide, with runners completing the final stretch over the finish line at The Adelaide Oval. Race Ambassador, two-time Olympian and Commonwealth Games bronze medalist Jessica Trengove, will also be taking part in the race completing the 21.1KM run, so get your friends together and take the Adelaide Marathon Challenge! To help you with your preparation for the event you can contact one of our Physios at any of our practices.